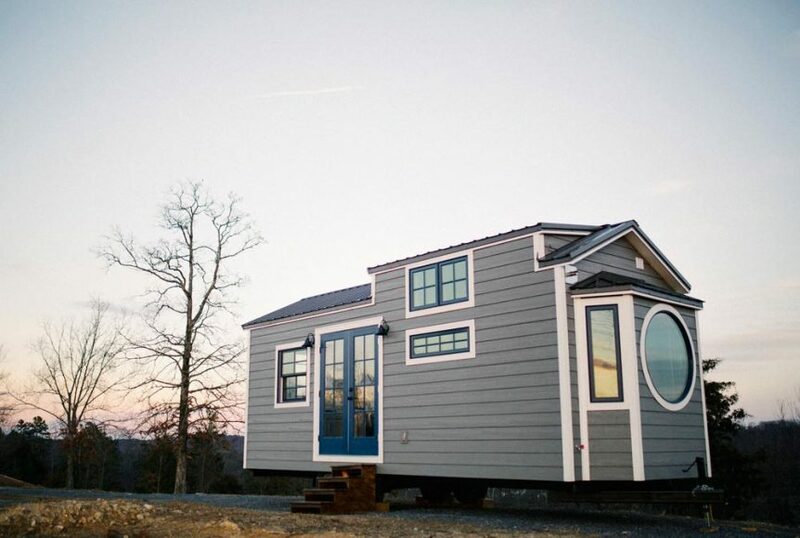 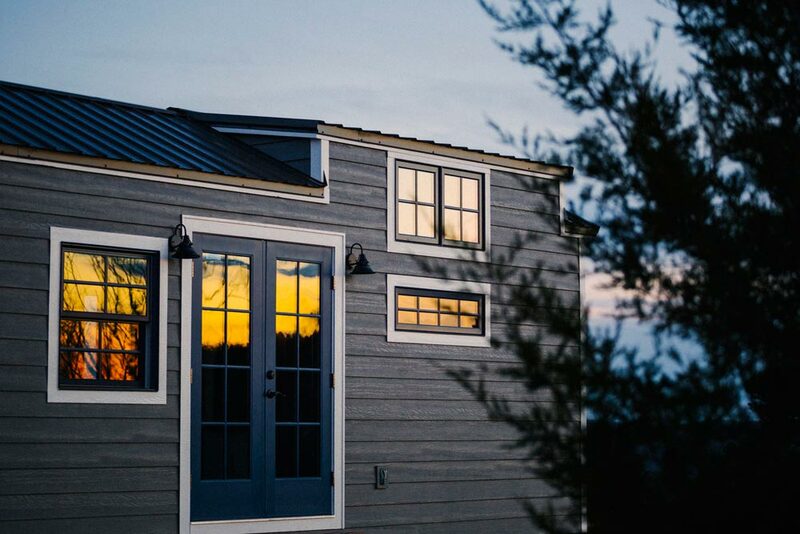 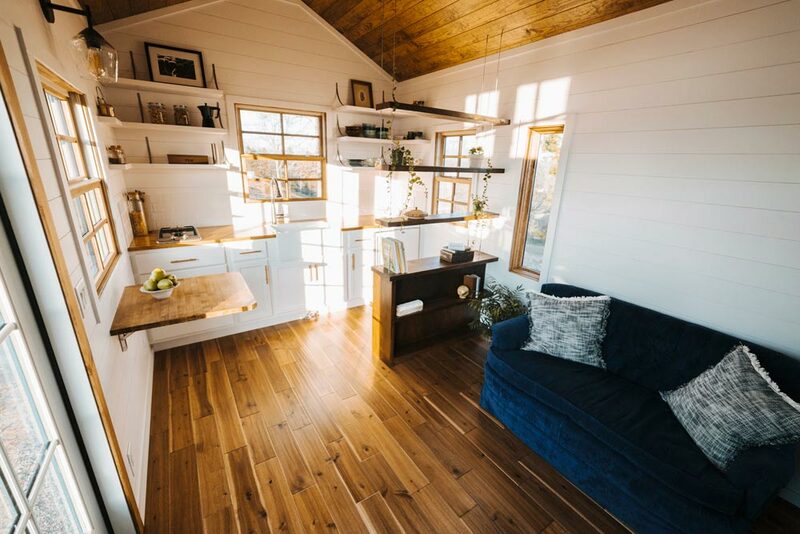 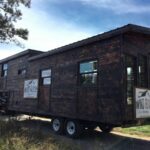 The Monocle was custom designed and built by Wind River Tiny Homes for a California couple. 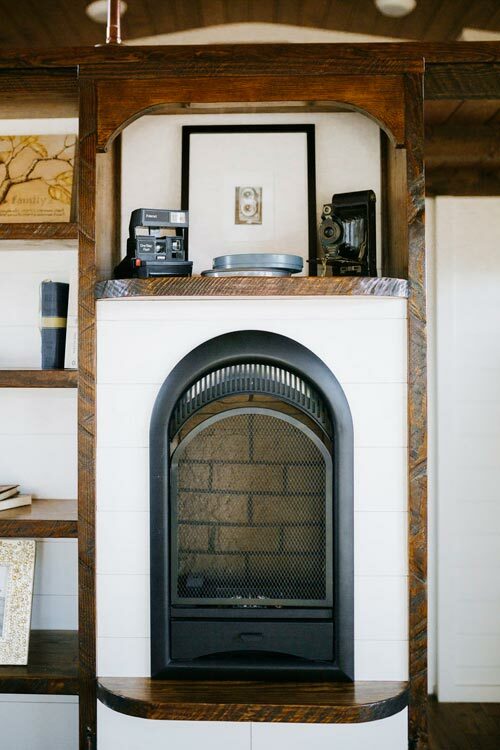 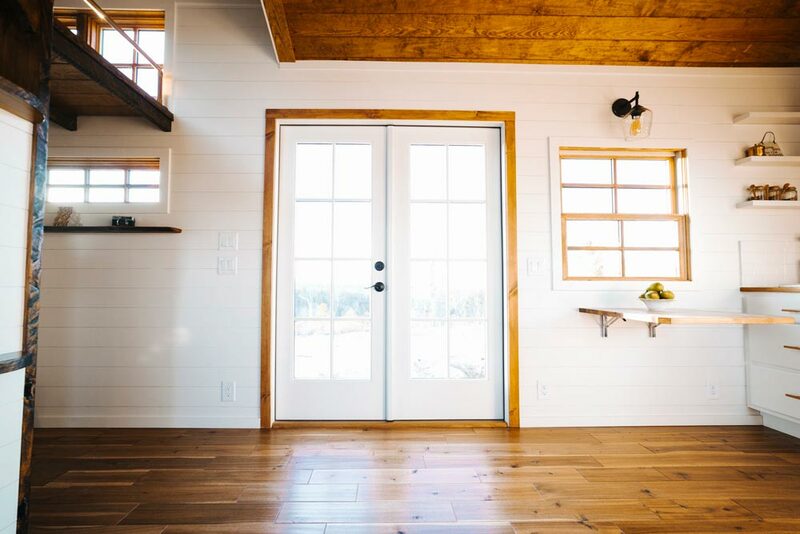 The white ship lap interior is accented with warm woods and rustic touches for a luxurious finish. 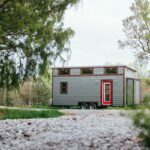 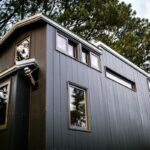 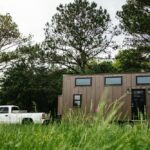 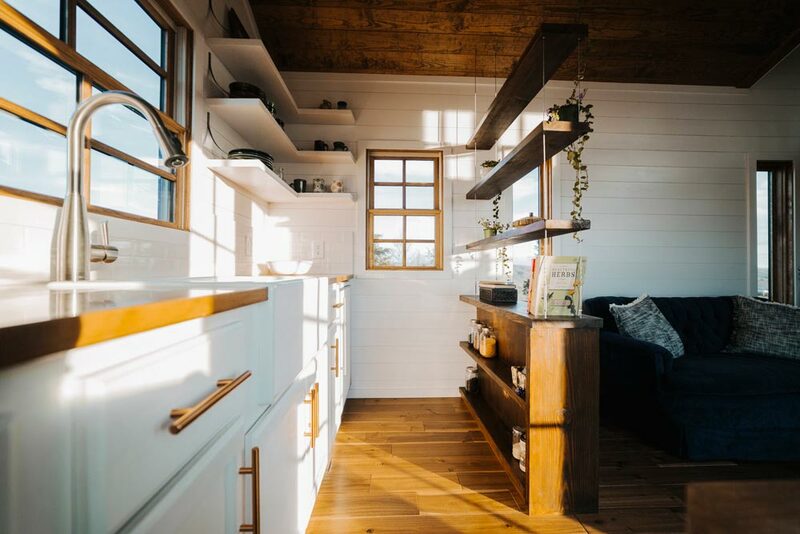 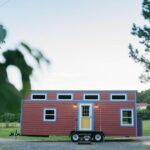 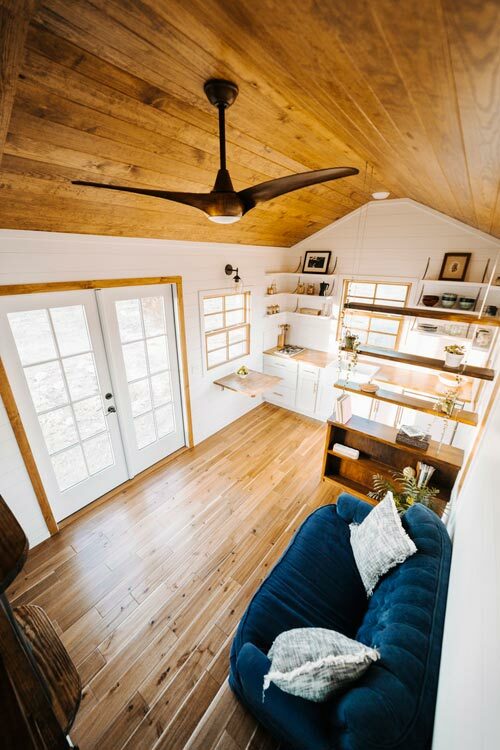 The 24′ tiny home is 10′ wide to accommodate a bed on the main level and a full size soaking tub with a large “monocle window” to enjoy the surroundings while soaking. 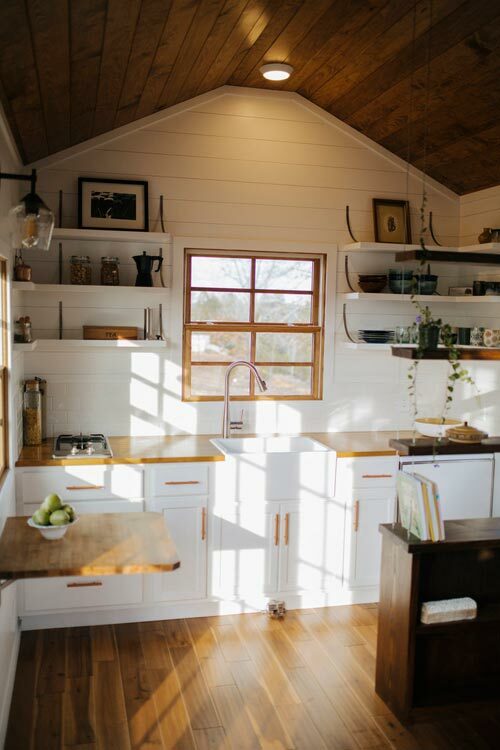 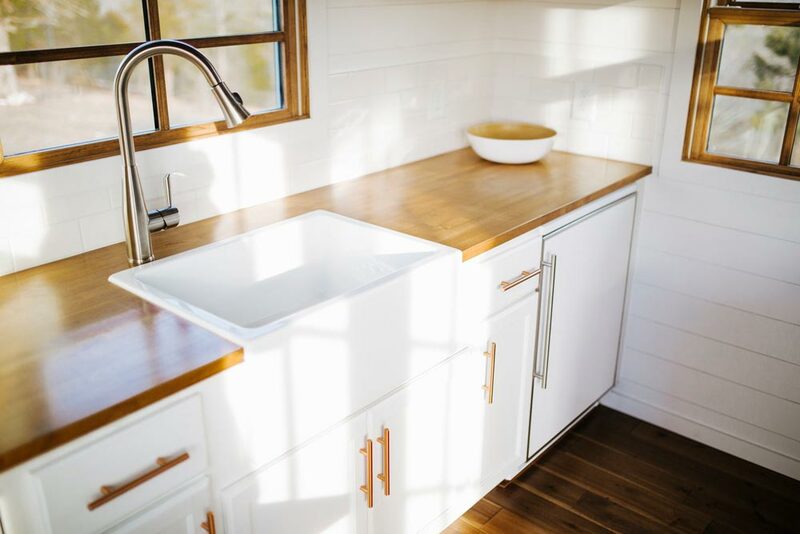 The kitchen has open shelving, custom steel brackets, a farmhouse sink, and butcher block countertops. 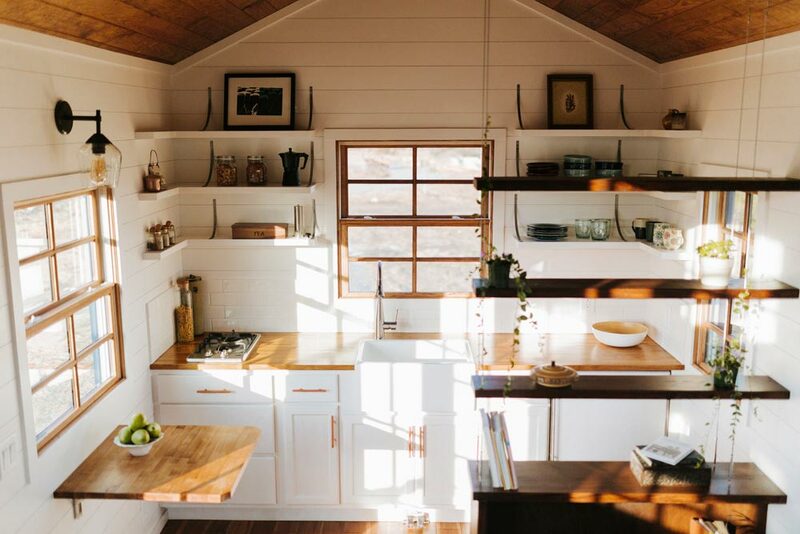 Suspended cable shelving adds storage space while keeping a open layout. 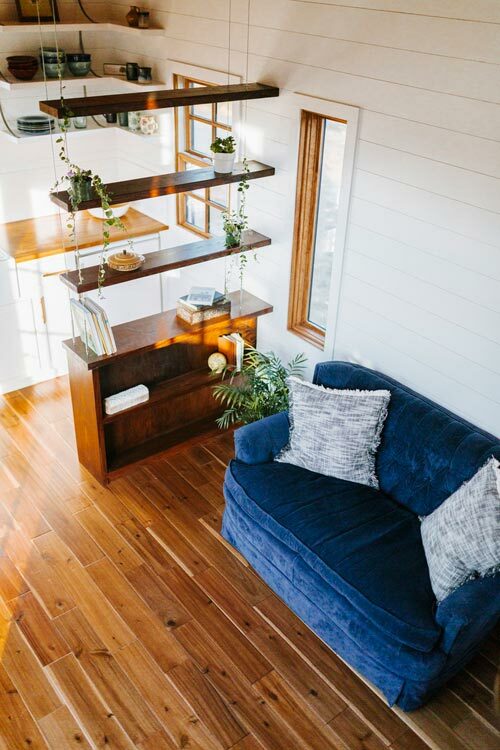 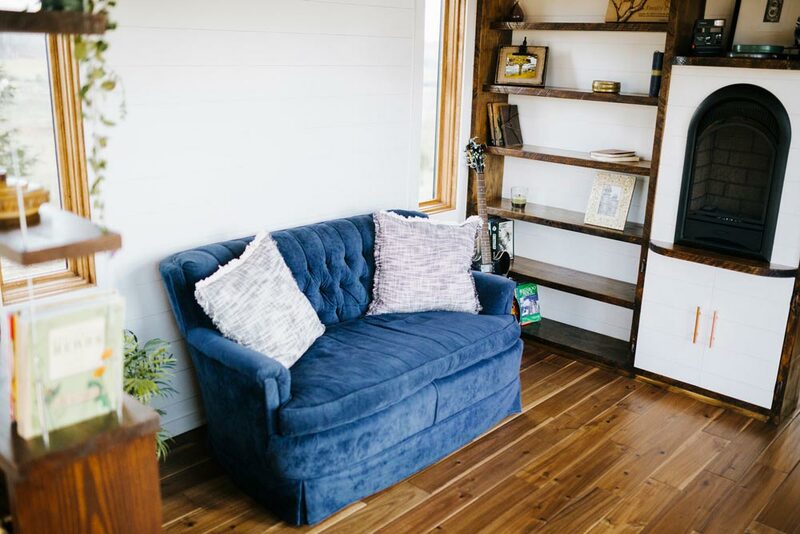 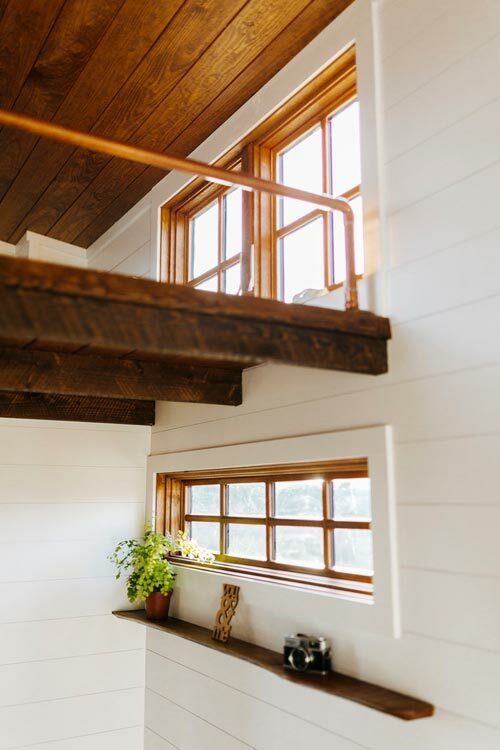 Other unique touches include custom copper railings, a live edge shelf, and built in bookshelf ladder. 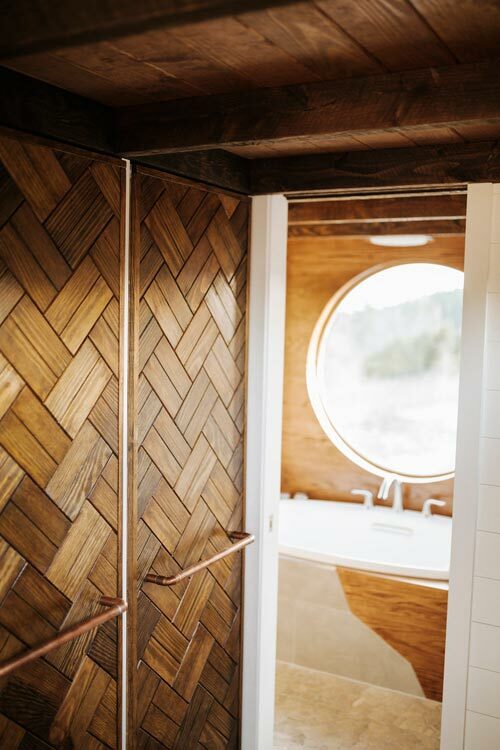 A custom his/hers pull out closet has a wood weave finish with copper pipe pulls. 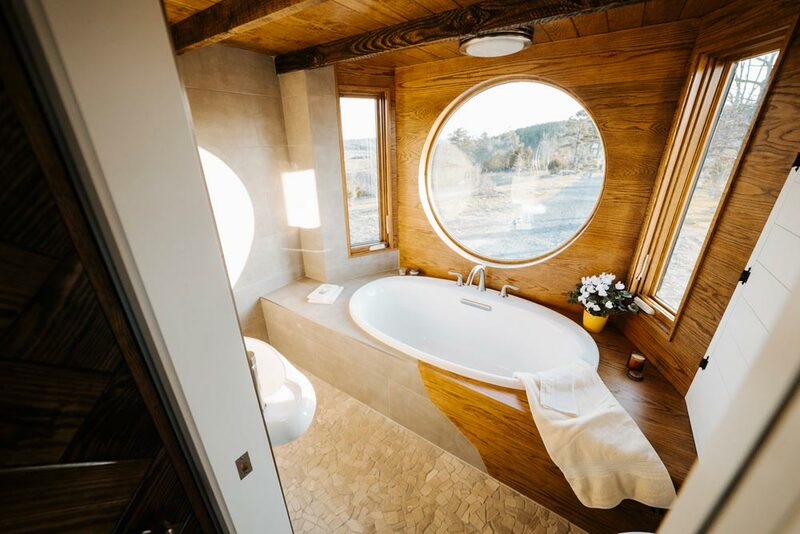 Along with the soaking tub, the bathroom includes a mixed tile and oak tub surround, pebble tile floor, rain shower head, hand held shower, and floating sink. 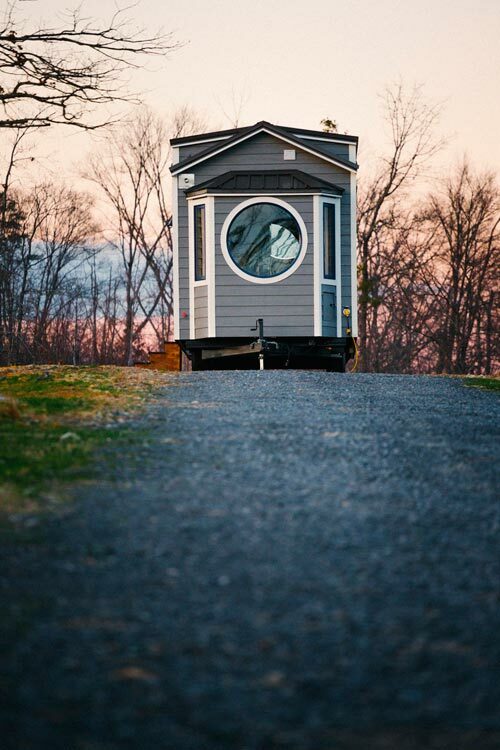 The Monocle cost approximately $76,500 as pictured. 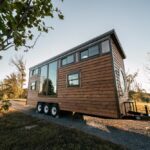 Also available from Wind River Tiny Homes: Noah, Silhouette, Big Whimsy, Ironclad, Phoenix, Nomad’s Nest, Wind River Bungalow, The Triton, The Mayflower, The Chimera, The Rook.